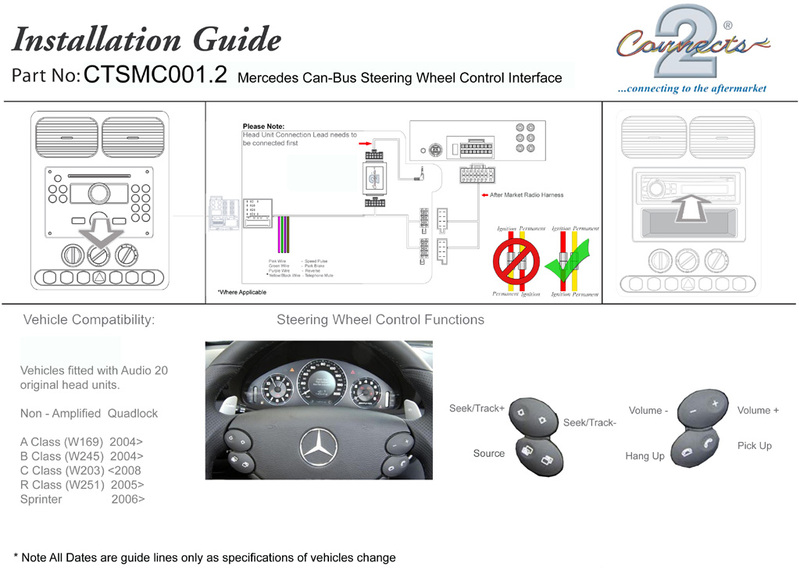 Connects2 Steering Wheel Control Interfaces allow plug and play installation of an after-market head unit into a vehicle whilst maintaining use of the steering wheel controls. Each interface is compatible with a range of patch leads which you will need to select from the add-ons section above. This patch leads connects an ALPINE, BECKER, BLAUPUNKT, CLARION, JVC, KENWOOD, PANASONIC, PIONEER, SONY, BEAT, ZENEC and Parrot (Classic and Smart) stereos. If you are unsure about the lead you require please feel free to contact us via ask a question button above and we will be happy to help you select the correct part(s) for your car stereo. We stock a full range of car stereo fitting accessories i.e. fascia panels, single-DIN double-DON kits, wiring harnesses, aerial adaptors and stalk adaptors; just ask if you need help.